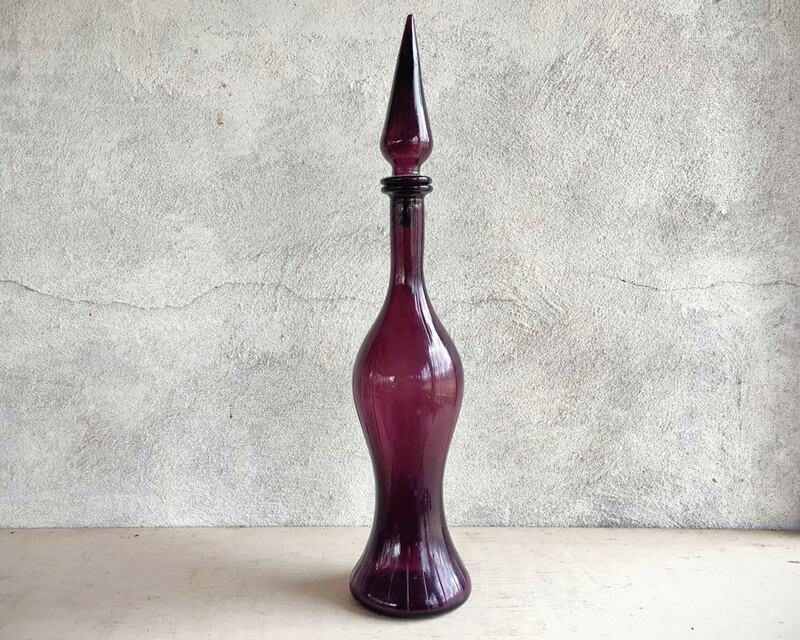 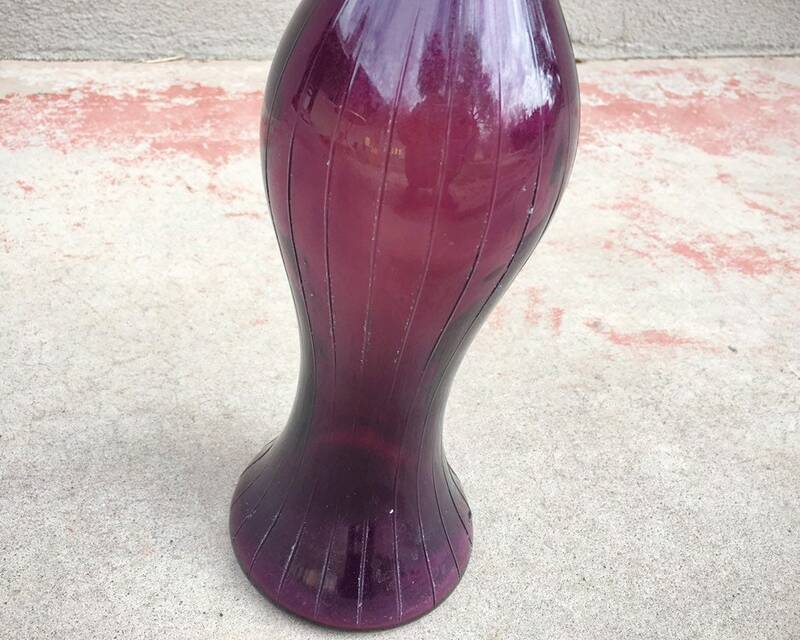 This beautiful hand blown decanter Geni bottle is a gorgeous deep purple amethyst color. 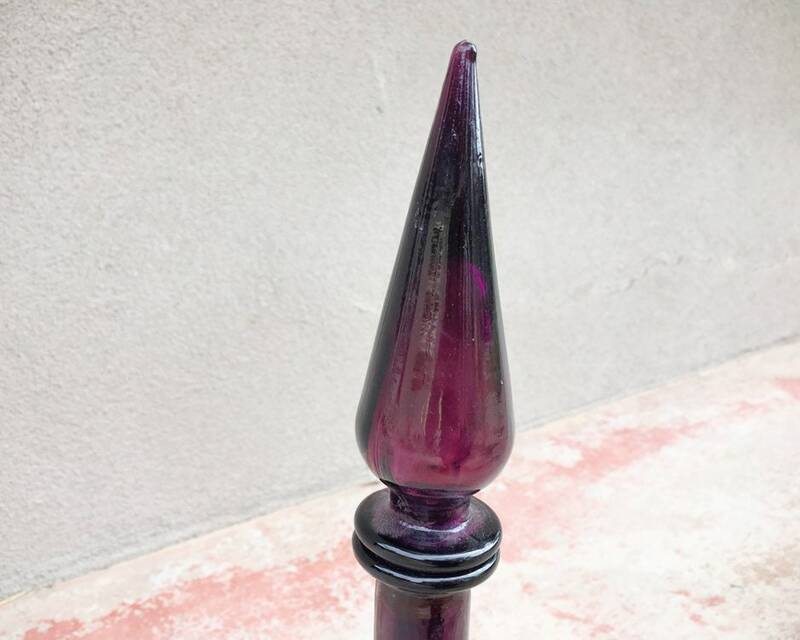 Has an elegant and very controlled and well-rendered look and feel. 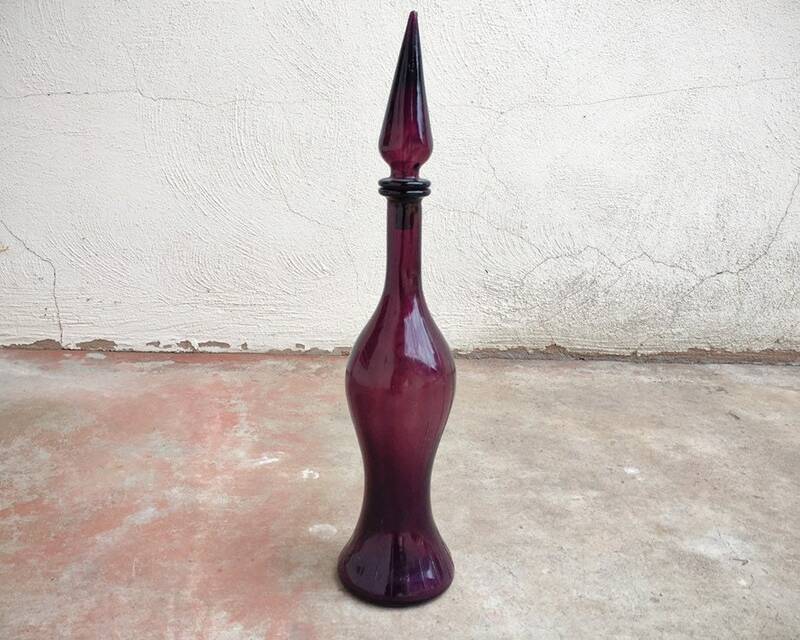 This came with a group of amethyst art glass all from one estate, which you can see in Photo 2. 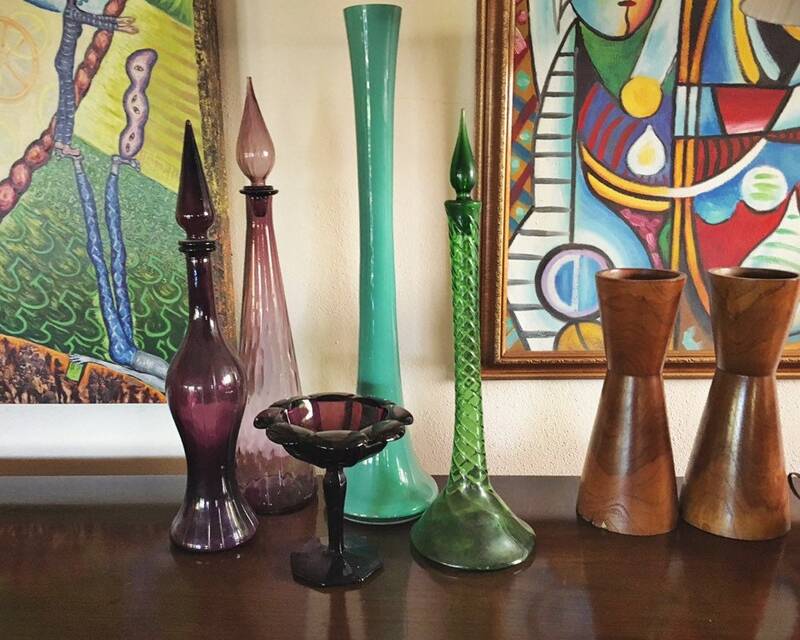 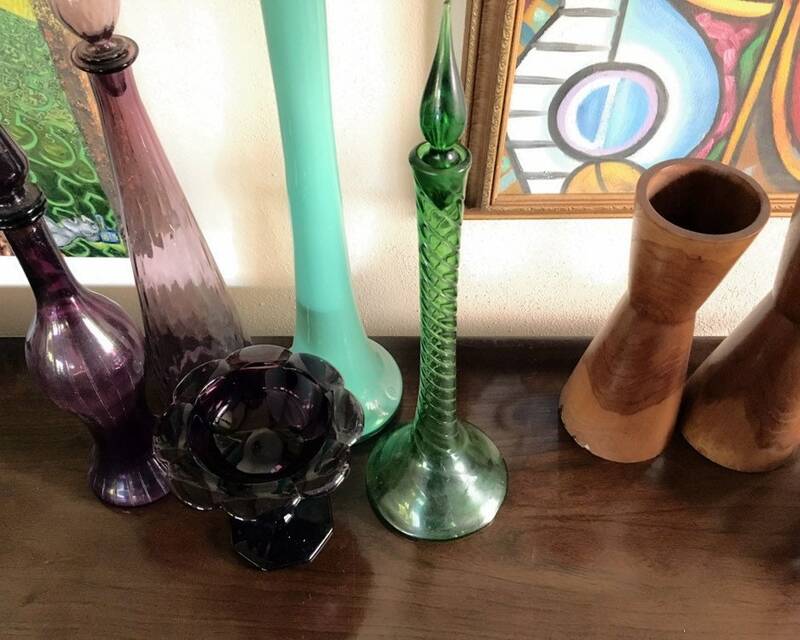 Amethyst glass is especially gorgeous with green, yellow, turquoise blue or teal, as well as with natural woods. 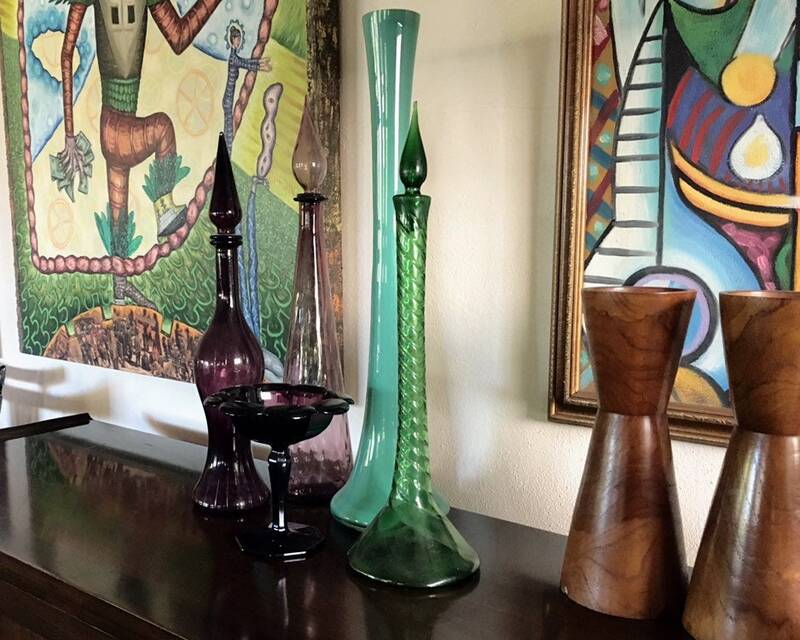 Perfect décor piece for a Midcentury Modern home, yet the shape and jeweled color would also be gorgeous in a bohemian interior. 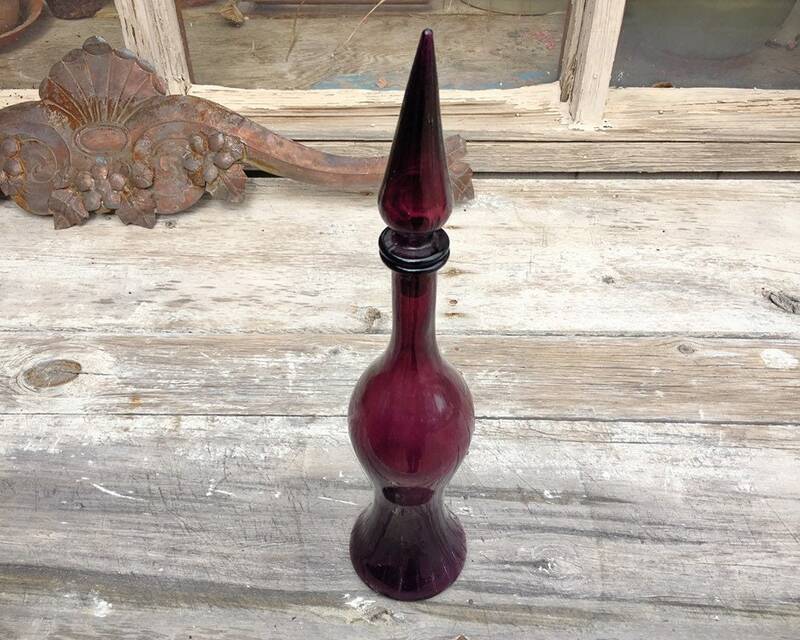 The bottle is about 19" tall including the stopper, and the base is about 4" in diameter. 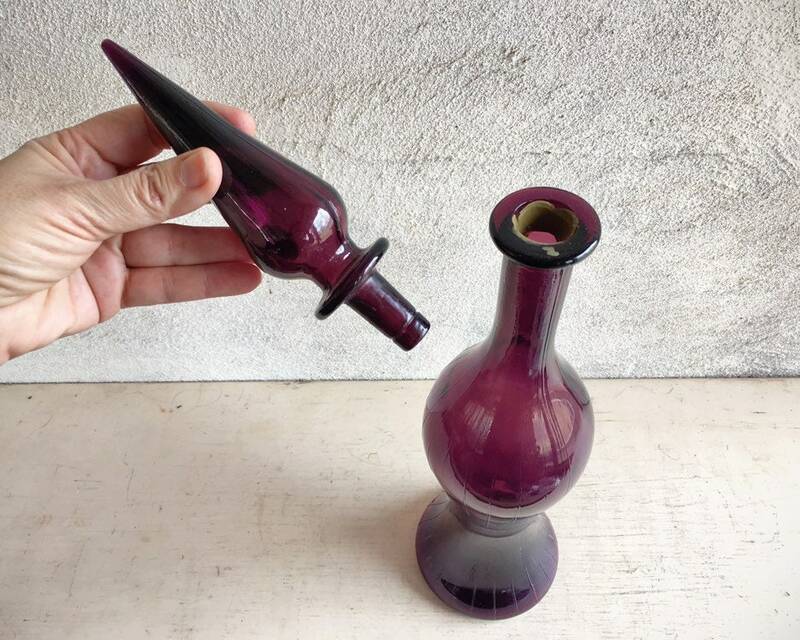 In good vintage condition with no chips nor cracks. 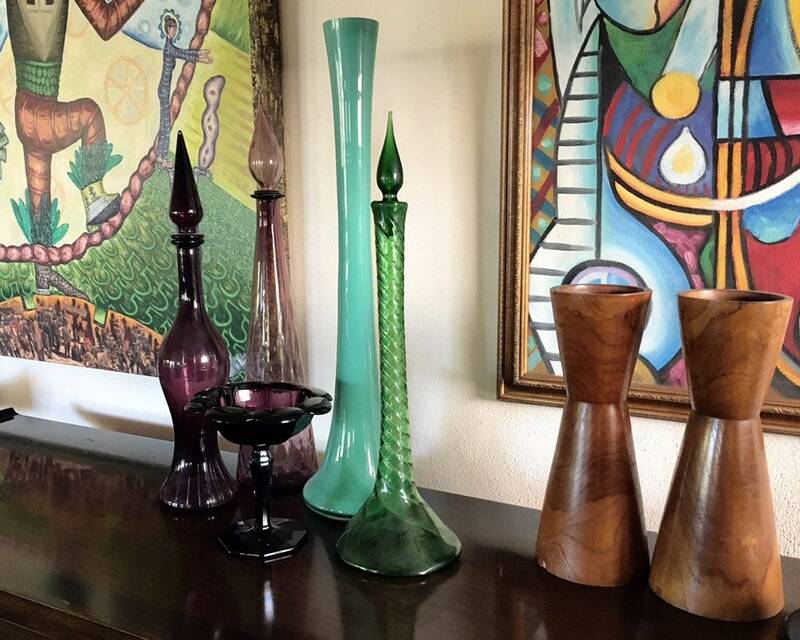 A jeweled treasure for your home.